Blue Fusion Digital has been doing local search optimization for quite some time now and one of our very favorite topics is Local Search Optimization. Why? Because it is extremely effective, gets a great Return on Investment and often is the quick route to rankings in the organic search results. More on that later but essentially it is because many businesses don’t understand what the Google Local Listings really are or how easy it is to get started with a local search engine optimization campaign. Since we are often asked about local search and everything it details we thought we would develop a list of answers for our most frequently received questions from business owners everywhere. Is there a difference between Google Plus and Google Plus for Business? Yes, there is a difference between the two pages and this is easily the most misunderstood part of Google Plus pages, a majority of people in the world never really got hooked on Google+ like they did on other social media platforms such as Facebook, Twitter, LinkedIn or even Pinterest but many people have at least one Google+ profile. Why do people have more then one Google+ page? Many reasons really but often people would have an old YouTube account and then create a new gmail account without knowing the two could be connected, etc. Google+ has offered business pages for a few years now and the templates are much different and also get indexed in the search results differently. Do I need a Google Plus Business page? Yes, every single company in the world could benefit in one way or the other by having a Google+ Business Page. Who can benefit from Local Search Optimization? Almost every company is going to be able to benefit from Local Search Optimization but the companies who are going too want too prioritize LSEO are companies who service a local area or have a brick and mortar location. Any companies ranging from auto body shops and car dealerships to dentists and doctors to restaurants and hotels are going to greatly benefit from showing up in the local search results. Do you need a website to rank in the Google Local Listings? No, there is no direct stipulation that says you need to have a website to appear in the Google Local Listings. However, a majority of the time the results do tend to favor results with websites as well. Blue Fusion Digital has had tremendous success with clients that had searched for a money keyword in there respective industries and were presented with search results without websites in the Google Local Listings. In other words you have a great chance at ranking very quickly with one of our campaigns but even greater if you are seeing GLL with companies without a website. How come some businesses have a star rating in the search results? You need to have a minimum of 5 reviews on your Google+ Business Page before you will get the yellow/golden stars to appear next to your Google Local Listing result. What if I don’t have a designated business address but instead I work from a home office and don’t want my home address available online? This was an issue for many companies such as a plumber who might not have a physical office location but instead travels to all his work sites. Thankfully Google+ Business pages now allow you to put your residential address for location/verification purposes only. Essentially, you enter your address but can then check a box that says I do not offer services at my physical address, Google will then make sure this information is not displayed and you won’t have too worry about people showing up at your doorstep looking for you to help them. What if I service more then just my physical addresses city? In cases such as the plumber we discusses he might serve more then just the city he lists in his Business page. For example if his physical address is in Los Angeles, CA but he also services Malibu. The plumber can then designate other service locations such as Malibu and he has a chance to appear in those search results as well. A citation is your business information placed on a directory. Business information such as your “NAP” profile or Business: Name, Address and Phone Number. A directory is a website that specializes in local business information. Good examples of popular directories are websites such as Yelp, Yellowpages and Yahoo local. Why are citations and directories important? Citations and directories are a very important ingredient to a successful local search optimization because Google wants too see your digital footprint spread across many different online channels. The more accurate and consistent these online channels are the higher your chances of ranking well. Looking for more information about Local Search Optimization? How does your business get listed on the local search results? First, you need to claim your Google By Business page, also known as GMB. Here is the link to sign up for your free GMB account, you will to sign up for a Gmail account to create an account or claim an existing page that is already online but you don’t yet own. What does claiming my Google My Business page do? Great question, this shows Google you are a legitimate business and you own the page. Google obviously wants to make sure they are only displaying real businesses to its searchers because if they show fake businesses, people will be unhappy and try other search engines. How do you know if the page is already claimed? After you have done everything to make sure your Google My Business Page is claimed you need to make sure it is optimized. How do you optimize your Google My Business page? Seems easy enough right? This process generally takes about 30 minutes-hour to complete. Once, you have are officially done with the creation, verification and optimization of your Google My Business page you can pat yourself on the back! WooHoo! However, 99% of businesses will notice that they are unfortunately still not on the first page of Google when they search for their local business online. Why am I not showing up on the local search results? Nobody except for Google themselves knows exactly how the ranking algorithm works but for those of us who have been doing local search engine optimization for many years we understand several ranking factors that are involved in getting to the first page. 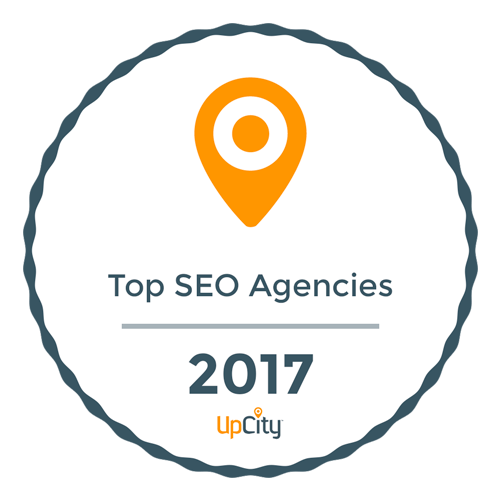 What are some of the top ranking factors in getting my website to rank in the local search engine results? Creation, Verification and Optimization (C.V.O.) of Citations – This is the process of making sure your business is listed on popular and relevant directory website across the web. Our C.V.O. process should sound familiar because you already did the same process when you claimed your Google My Business Page. Essentially, you want to make sure all of your citations or “NAP” profile is consistent throughout these various directories. “NAP” profile is your Business Name, Address and Phone Number. This is the most important part of the C.V.O. process, it is absolutely imperative that each one of your citations remains 100% consistent on EVERY directory you list your business on. If your citations are not consistent, Google will not give your business 100% credit for each citation which results in Google thinking your business could actually be several businesses with similar names, addresses and phone numbers. Why is this a problem? If you have inconsistent citations, you are going to be competing with not only your competitors but also your own business! Each citation takes about 30 minutes to an hour to create, verify and optimize. Can Blue Fusion Digital do this for me? Luckily, for you, Blue Fusion Digital offers a citation creation service so you don’t have to do all the heavy lifting! Click to view our Citation Building Packages. On-Site Optimization – This is the part of the local search engine optimization process that requires you to modify your website. Header Tag – This is the most important part of on-site optimization, each page should have a header tag and this tag should be your primary keyword. Meta Description – This should be about 140 characters so it does not get cut off in the search results. Content – You ideally would have 2,000 words of content on every page you want to get ranked, sometimes this can be difficult but you should generally have a minimum of 400 words and 1-3% of those words should be keywords you are trying to get ranked for. This looks natural and you will remain Panda (Google Penalty for writing spammy content) free! What do online reviews have to do with your business getting listed on the first page of the Google search results? Actually, a lot! One of the top ranking factors in Local Search Engine Optimization is your online reviews. In our opinion, this is the hidden gem that most people just don’t uncover. Online reviews are often over looked and even most “seo companies” don’t understand the true significance of the impact Google Reviews can have on your businesses rankings. Online Reviews have a few factors themselves in regards of how they impact local search results. First, everyone knows they want to have a 5 star rating, that much is clear but did you know it takes 5 reviews to get those shiny stars to appear next to your Google My Business page in the search results? Not only do you want a 5 star rating but you also want to get a lot of reviews and you want to keep them coming in on a consistent basis. Quality – This is simple, you want a 5 star rating across the board! Quantity – The more reviews you can get, the more trust people have in your reputation. Frequency – How often are you getting reviews? People like to see that your reviews are new and fresh in addition to the quality and quantity. If your business has a lot of reviews but they are all 6 months old, it might look like your business is closed or maybe you paid for these reviews and then stopped. Breadth – Not only do people want to see quality, quantity and frequency but they also want to see you have reviews on multiple platforms across the web. Google also likes to see this because they know you are an active brand. How can your business collect more online reviews? Luckily, we offer a proprietary review collecting system that enables you to get REAL reviews, from your real clients! Can you pay for reviews? No!!! Do not pay for a review, this is a big no-no and could get you kicked off of Google, Yelp, Facebook, etc. altogether. Blue Fusion Digital is a digital marketing agency that specializes in helping small and medium sized businesses compete online with the biggest businesses in their industries.